Making sure a family ski holiday goes smoothly isn’t always easy. Keeping children happy skiing is the main aim. Luckily that’s all sorted for you! Les Gets has a special videopark on the Chavannes mini-boarder that works automatically on detecting a skipass, so children can watch themselves later. The smallest kids can enjoy the snow garden, “Jardin des neiges”, while the “Espace des Mappys” and “Territoire du Grand Cry” with its wigwams and games will keep bigger kids happy and entertained. 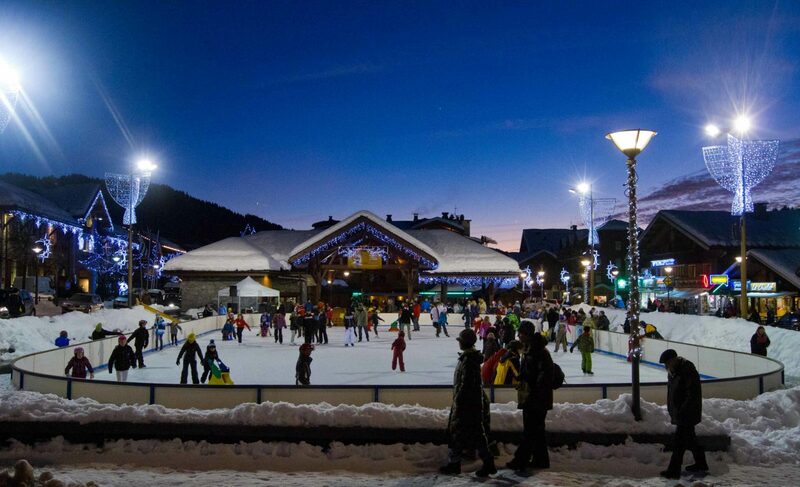 Both Morzine and Les Gets have beautiful outdoor ice rinks in the village centres. Glide around the ice in the shadow of the mountains. 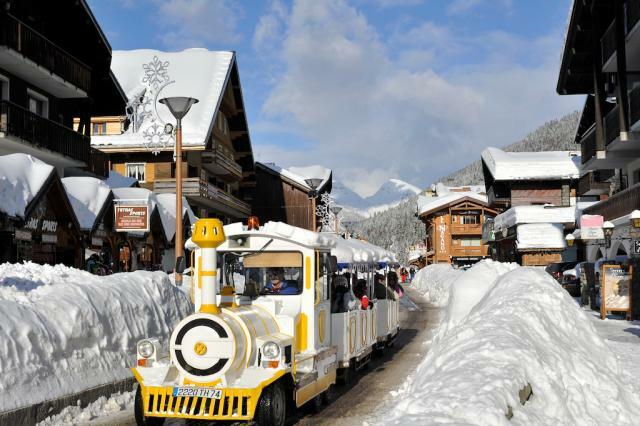 A great extra activity for kids, while mum and dad enjoy a steaming vin chaud from one of the surrounding cafes. Morzine also has an indoor ice rink. As well as skating there are regular ice hockey matches. Fun for all the family, an ice hockey game is always an exciting spectacle. 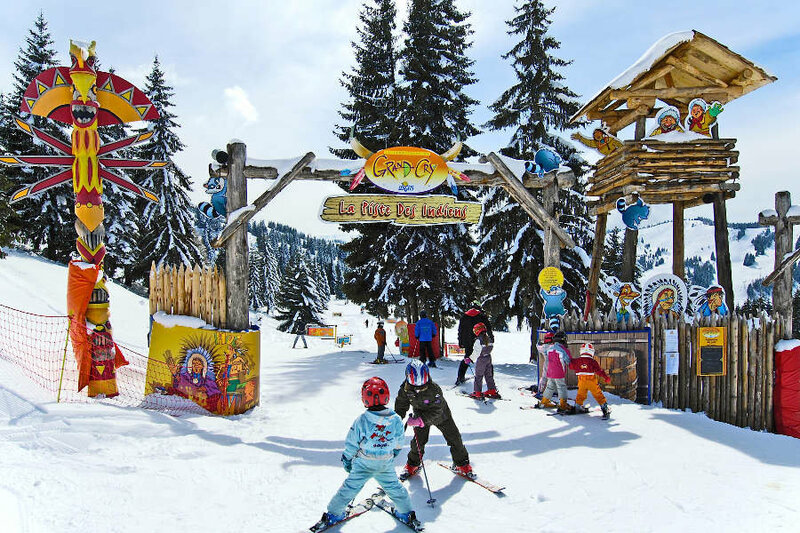 Les Gets has five specially secured sledging slopes around the village, and Morzine has a large space at the foot of the Pleney and also at the top next to the learner area. 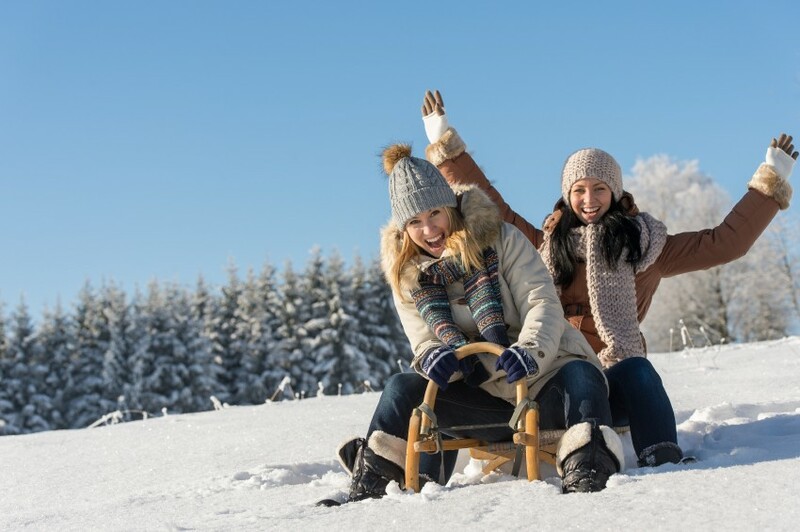 Children can sledge in safety, without worries of coming into contact with skiers speeding down the slopes as these special sledging zones are separated from the ski slopes. If you want something new try the Yooner. The Yooner has a seat 20 cm above the ground, and is equipped with a shock absorber for more comfort and a skate allowing you to carve just as you do skiing. A different way to get down the slopes! Always a winner with little ones waiting while big brother or sister has their ski lesson! You can keep them occupied with a free ride round the village on the petit train. Designed as a useful way of getting across the village centres, it’s also a fun ride for children. A large indoor swimming pool, with paddling pool for young children. Perfect for keeping little ones entertained in bad weather or when they just want something different from skiing. There’s also a sauna and hammam that mum or dad can make use of! 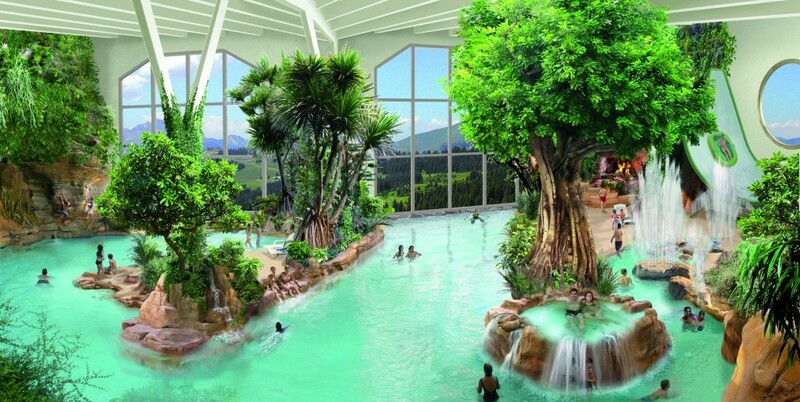 An aquatic paradise in the mountains featuring lush vegetation and rocks, a river with a variable current, a slidewinder (a kind of aquatic halfpipe), a water playhouse, a paddling pool, a large pool with climbing walls, massage benches and the must-try: an open-air spa heated to 34 degrees! This kind of water park is found nowhere else in the mountains and is an incredible experience. Immerse yourself in natural tropical vegetation in mountain surroundings. A saviour on bad weather days and when kids need something different to do. Mini adrenalin junkies can get their fix on electric snowmobiles in Les Gets! The first closed circuit of its type in France means 5-12 year olds can learn in safety. Contact us to book your family ski holiday now!